If you follow my Instagram account, I suppose you remember that I uploaded a pic of some makeup products from Focallure last week. And like I said earlier on my Instagram post, I am going to post a review of this precious finding. 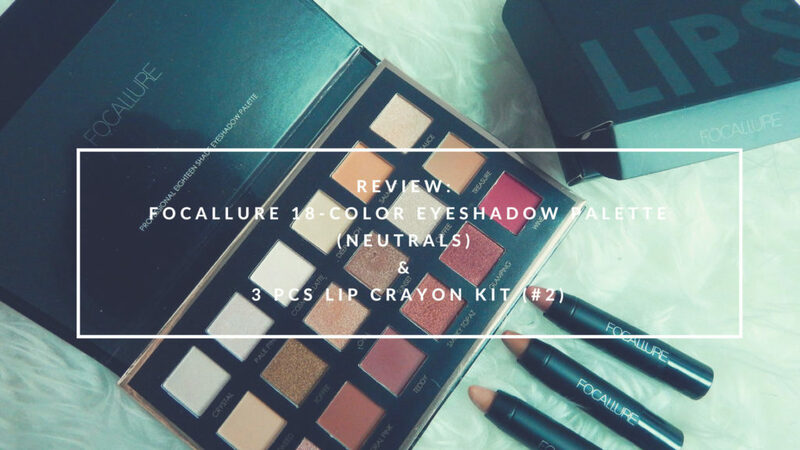 An 18-color eyeshadow palette and 3 pcs lip crayon kit that cost me less than $15! See, if there’s anything you need to know about my beauty routine, I love my makeup like (most) people love me: cheap, but quite well-presented. And I swear, Focallure has this kind of characteristics. I mean, 18 colors are something to die for in an eyeshadow palette. And given the fact that the price is less than $8 with such a high quality, I think we all agree that even though you may not like the product, it’s worth to try for in the first place. Shall we go deeper to talk about this beauty product? Let’s go!